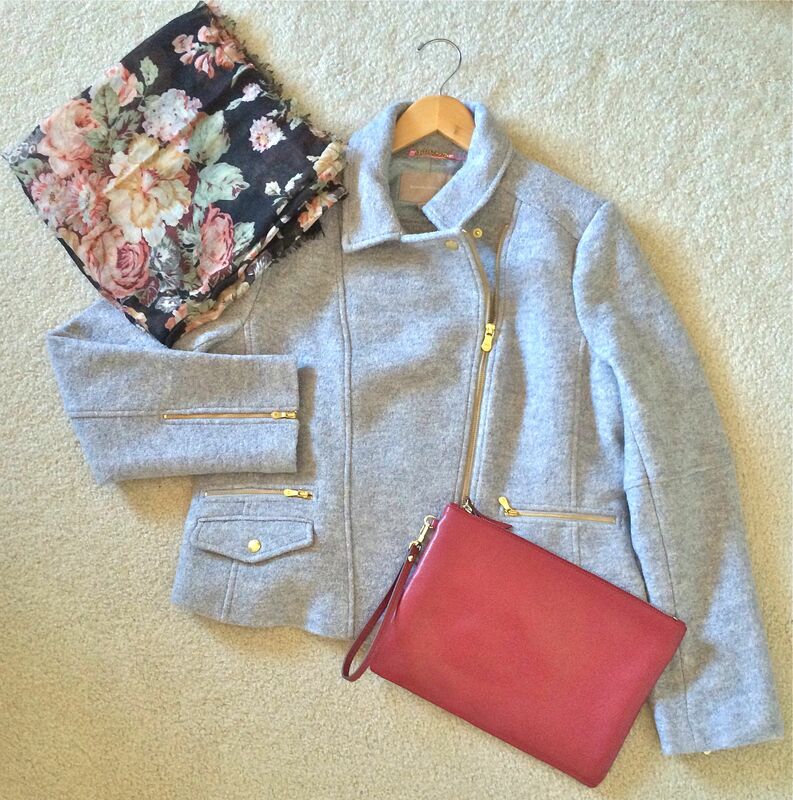 I have been slowly accumulating pieces the past couple of months in preparation for Fall and Winter. Now it hasn’t been particularly easy to say goodbye to Summer (especially when it was nearly 85 degrees today), but I am really excited to change up my color palette during the Fall months! …at first I was like, “damn he is fiiiine”…and then I was like, “oh she is cute and I love her jacket.” So needless to say I ran into the store and bought the jacket. I would insert a link to the jacket on their website, but for some strange reason I can’t locate it on their site. The employee who was ringing me up mentioned that they had just got the jacket in a few days prior and it had been a really popular item. 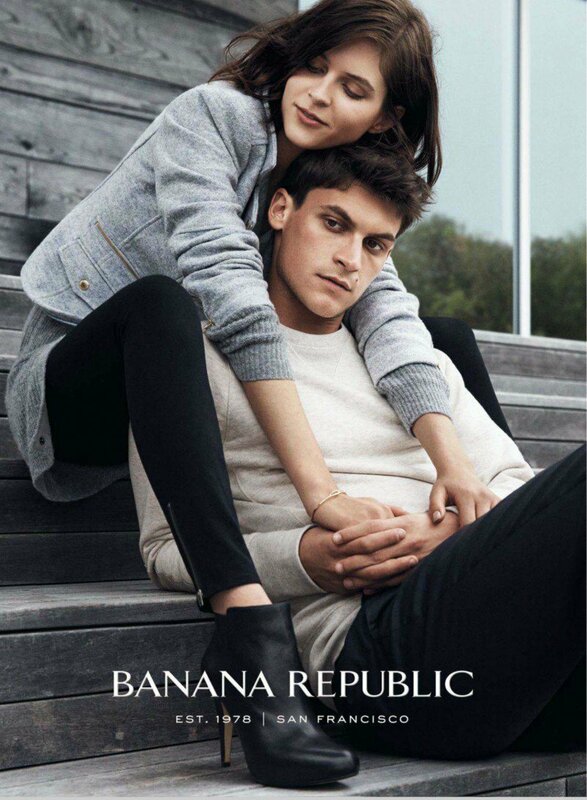 I want to say the jacket was $150, but they have been running a 40% off Sale on the whole entire store the past couple of weeks…so check your local Banana Republic store if you are interested!! Now the little burgundy envelope clutch was also purchased from Banana, but I purchased it a couple of months back. I thought this clutch would be great when I am out running errands and only wanted to carry my wallet, keys and phone. Here is a direct link the clutch if you are interested. And lastly, I picked up the scarf from Scotch and Soda. I loved the floral print and the black background. I can’t wait to start layering it with my sweaters and coats! Here is a direct link to the scarf if you are interested. I hope you enjoyed this little post and I will try and keep you all updated if I find any other amazing Fall & Holiday clothing items! !